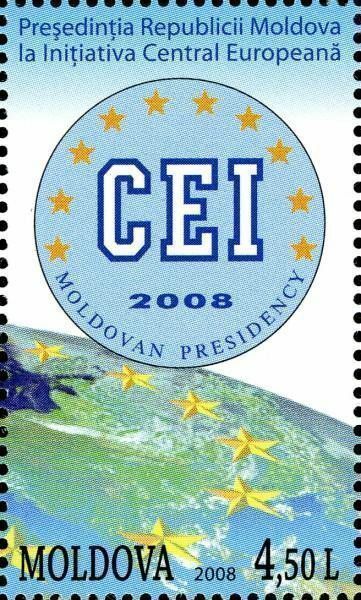 On 27 November 2008, the Post Office of Moldova (Poșta Moldovei) issued a series of postage stamps with the title Moldovan Presidency of the Central European Initiative (CEI). The issue comprises two stamps, with associated cancellation (postmark) and first day cover (FDC). The designer was Vitaliu Pogolşa. The printing was performed by Tipografia Centrală, Chişinău. 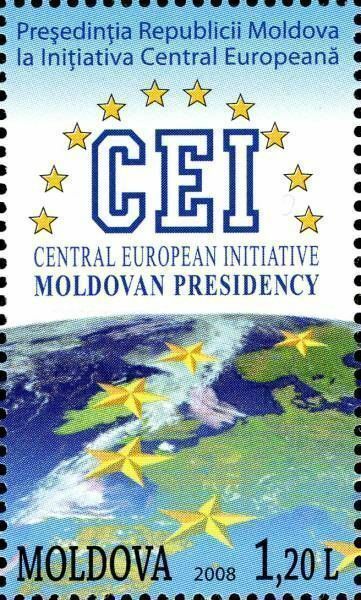 The Central European Initiative (CEI) is a forum of regional cooperation in Central, Eastern and South Eastern Europe, counting 18 member states. It was formed in Budapest in 1989. Read more.. This article uses material from the Wikipedia article 'Central_European_Initiative', which is released under the Creative Commons Attribution-Share-Alike License 3.0.